Arena is one of ruby miner Mustang’s main institutional investors. The firm, which manages over $750 million in assets, forged a deal with Mustang to issue a convertible note to provide the cash the mining company needs. At the end of September 2017 Mustang had only $736,000 left in its bank account. At that time, it had also completely cashed in on its previous convertible note, also issued by Arena, for $8.5 million. The new note can be withdrawn in seven installments, with the first one valued at $1.9 million as soon as the deal is finalized. Mustang is also planning on raising and additional $4 million with a one-for-five non-renounceable entitlement issue at 2.6 cents per share. The mining company’s share price of 3.1 cents did not change after the announcement. Since last October the stock value lost 85% of its value, which had been at a 52-week high of 20 cents. 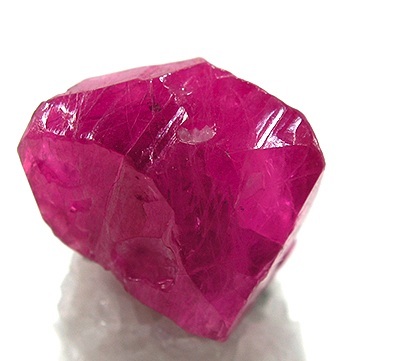 Mustang, the world’s only listed ruby miner, blamed its woes on its gem-grading system which led to failure of its October ruby auction, which was its first. The auction netted for the company only $713, 456, representing only 7% of the total of 405,000 carats it was offering for sale. With the backing of Arena, Mustang hopes for better results in the future with a new “highly definitive grading system” and a few small test sales through private traders in Asia over the next few months.